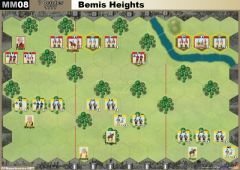 Marmont’s army had marched into a deadly British ambush. 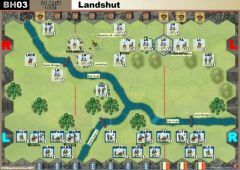 In the first hour of fighting, three of the eight French divisions were completely smashed and the French left wing ceased to exist. 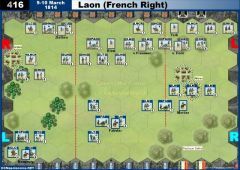 Despite a successful counterattack in the center by General Clausel, the French were beaten, and it became a question of how badly they would lose. 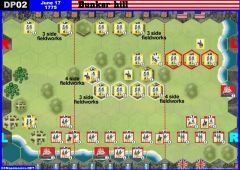 Wellington was determined to destroy the entire French army. 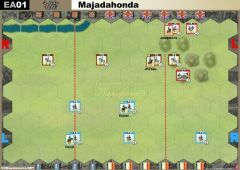 To that end, he launched the 1st and Light Divisions against the French divisions of Ferey and Foy on the French right. 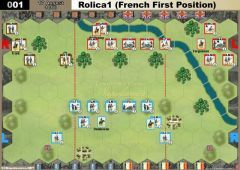 A decisive British victory here would block the French route of retreat. 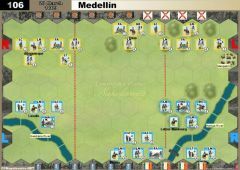 The British divisions emerged from hiding behind a ridge, crossed the Pela Gracia River with little opposition and engaged the surprised French. 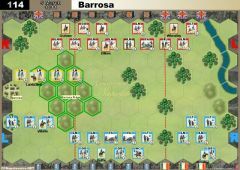 Ferey’s 3rd Division, while still in march column, was attacked by the British guards and was forced back, while Foy’s 1st Division attempted to make a stand near Calvarisa de Ariba, but were also driven back. 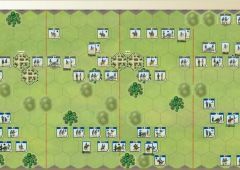 Bloody but not beaten, these two French formations still managed to hold the British at bay, covering the French retreat toward Alba de Tormes and saving Marmont’s army to fight another day. 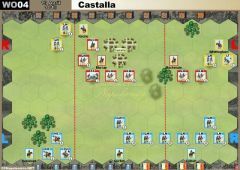 The Pela Gracia River is fordable in all hexes. 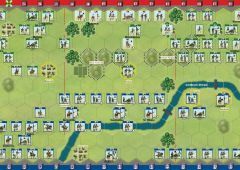 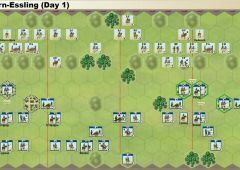 In addition, a unit or leader’s movement is not stopped when moving onto a river hex.